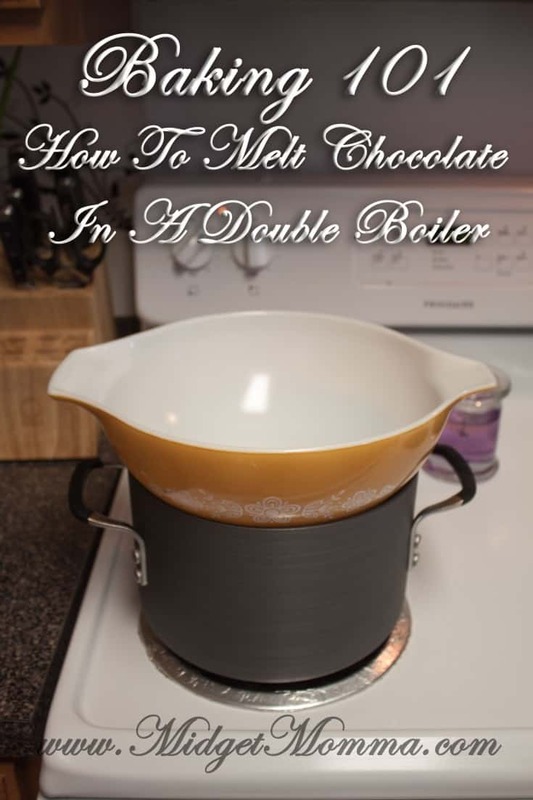 This simple step by step for How to Melt Chocolate in a Double Boiler will be the best way you learn to melt chocolate. Melting chocolate with a double boiler is a much better way to melt chocolate then using the microwave. The art of melt chocolate can be a tricky thing if you don’t know what you are doing. The last thing you would want to do is throw it into a pan and just put that on the stove. Chocolate can burn very easily. A double boiler is a bowl on top of a pot with water in it. It creates a seal and the steam gets trapped underneath to heat the bowl gently. You can buy a double boiler but it is just a easy to make your own. You will need a pot and a ceramic, metal or glass bowl. You want to make the bowl fits right on top of the pot so it creates a seal. Add water to your pot. 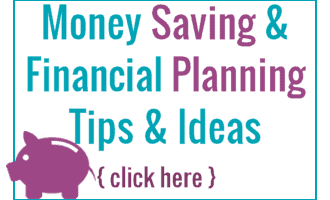 You only want to add a few inches of water, you never want the water to touch the bottom of the bowl. Heat the water over medium heat. Once the water comes to a boil place your bowl with chocolate on top. You want to make sure no water gets in the bowl with the chocolate, this will case your chocolate to cease up. Use a rubber spatula to keep scraping down the boil so the chocolate of the side of the bowl will not burn. Once the chocolate is melted remove the bowl from the heat. Check out these other awesome baking tips and tricks! Do yourself a favor and print out the How Many Pints in a Quart? and other liquid measurements printable to help you with your measurements in the kitchen! I have mine hanging on my fridge and it makes a super easy cheat sheet for whenever I am cooking and need to use liquid measurements. Check out these tasty chocolate recipes! Great post, Lauren. Melting chocolate in a double boiler is so easy once you know what to do! Thanks for the information on how to melt chocolate using a double boiler if you don’t have one. Have a greatt day.